The nose is the central feature of the face. Many patients believe that refinement of the nose can make a significant improvement in their appearance by making the eyes seem larger as well as emphasizing the cheeks. A rhinoplasty can have an overall complimentary effect, making a face more delicate. Usually the male nose is larger than the female nose because it has a greater component of bone, as evidenced by more prominent ridges. The forehead also plays an important role here, because of the transition between the nose and forehead. This transition in males tends to be sharp and prominent, making the decision as to whether the nose and forehead should be approached simultaneously, an important one. This decision is based on each patient’s individual needs. Also, female noses are normally less prominent than males in all aspects, tending to be more narrow and straight or with a gently curved tip. On the other hand, the tip of the nose is often sharper in females than males. Finally, the nostrils tend to be smaller in females. 3. to achieve an aesthetic result beyond gender differences. Standard rhinoplasty techniques can be used to make the nose smaller and give it a more feminine contour with proportions that will be in harmony with the rest of the face and forehead. A reduction rhinoplasty consist in, generally, making the back of the nose smaller and the tip discreetly lifted. The correction of the brow prominence softens the angle between the nose and the forehead. The type of skin in the nasal area can determine the final result on the procedure. The reduction can be entirely completed if the skin type is thin; however, if the skin is thicker, as is more common in males, the reduction, although noticeable, may have some limitations. 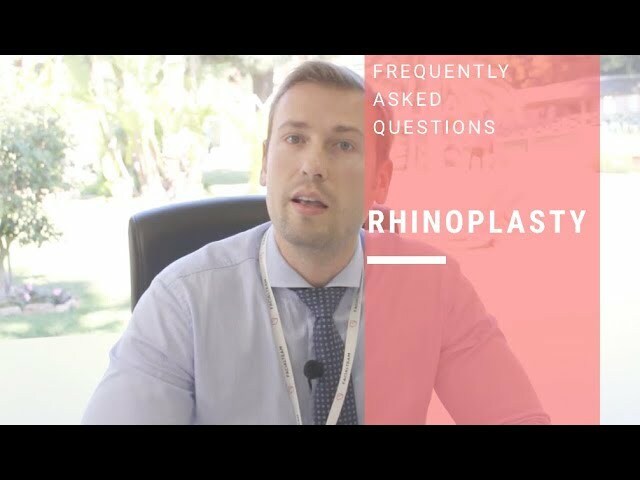 Rhinoplasty or nose surgery is a procedure highly individualized and requires an exhaustive evaluation of the bone and cartilaginous structures that form the nose. In general, a rhinoplasty is performed under general anesthesia. In some minor cases, it can be done under local anesthesia or sedation. The surgery lasts between one to two hours. Refinement of the tip: by removing a small section of the cartilage of the tip and with sutures we achieve the improvement or narrowing of the nasal tip. 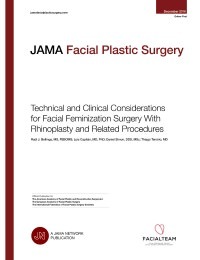 Feminization of the profile: the excess of bridge composed of bone and cartilage is removed and a nasal file is used to smooth for a more optimal result. Narrowing of the nasal bone: if the bridge is wide, it can be reduced by a nasal bone fracture on each side and posterior approximation of both towards the midline. Narrowing of the nostrils: removing the base of the alar cartilage can reduce the volume of the nostrils. The use of Piezosurgery® in facial bone surgery is a safe, predictable technique with low morbidity. In the field of Facial Gender Confirmation Surgery, Piezosurgery® plays a key role in nasal osteotomies. It minimizes trauma to the soft tissues and increases precision when eliminating the bony cap and performing the osteotomy under direct view, using an external approach with an extended subperiosteal dissection. This reduces postsurgical edema and ecchymosis and provides better control of the osteotomy line when narrowing the nasal pyramid and reducing the bony hump, either via osteotomy or osteoplasty. Nose surgery, statistically, is one of the procedures worldwide that present larger complication rates in the mid and long term (assimetry, deviation, tip collapse). This happens mainly when only aesthetic problems of the nose are addressed by the surgeon, without considering the nose’s inner structure and support. In these cases, the immediate results are satisfactory but in time the nose tends to suffer the above mentioned problems. Our approach is always based both on Structure and Aesthetic. 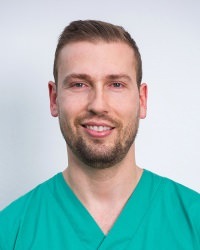 For example, the main areas of collapse (tip and dorsum) in our rhinoplasty technique are always reinforced with cartilage grafts which avoid undesirable postoperative changes on the mid and long term.